SCOBY's can be air-dried for long term storage. I dried this SCOBY by placing it on a plate - uncovered and flipping it several times a day. I did this in May and brewed with it in August. The SCOBY was left on the same plate for the intervening time and was left uncovered. It continued to dry and got progressivly darker in color. The SCOBY at day six was someone flexible but the SCOBY at after several months was not flexible at all. I used the regular kombucha brewing recipe and technique. The brew took the same length of time as a regular batch of kombucha. The mother SCOBY was not as soft as a regular SCOBY. It could only be described as old leather or sinew that had been soaking for weeks. 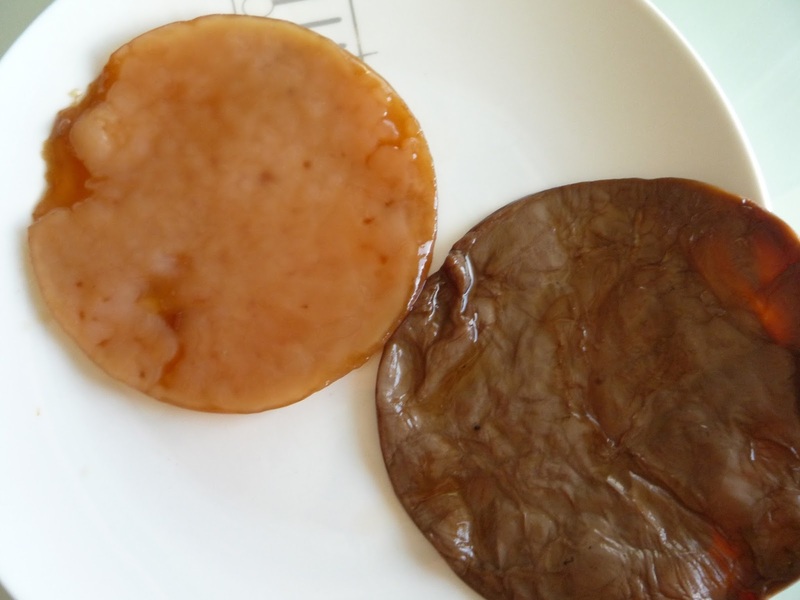 The SCOBY on the right is the old, previously dried SCOBY while the one on the left is the new baby. I've started a second batch with the baby. I did not drink the kombucha that resulted because I am a little bit worried about the spots on the baby SCOBY. I am brewing a second batch to determine if I got a case of the molds!